If you’re a parent or a grandparent, chances are that at some point you’ve woken up in a cold sweat thinking about college tuition costs. College tuition is rising 6-7% every single year, and given the astronomical amount of student debt that current grads are facing, it’s enough to make you shiver. As you may know, my wife and I now have a beautiful baby boy at home. As I write this he’s about six months old. 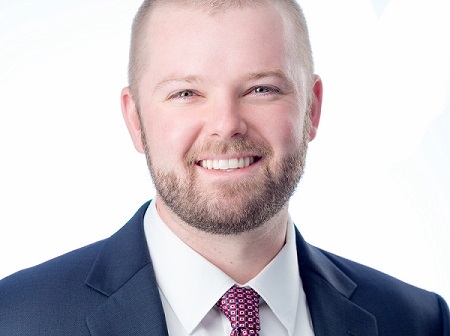 And given that I’m a total financial nerd, I’ve been spending some time recently thinking about how best to save for his college tuition costs. 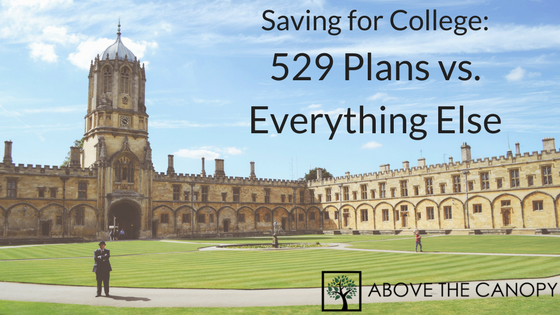 Popular opinion will tell you that 529 plans are by default the best choice for this purpose. But since to date all my posts on college costs have to do with student loans, I figured it was high time to cover the “other” end of the equation: saving for college before incurring any debt. So today we’ll review the most common types of college savings accounts, and try to determine whether 529 plans are really your best choice. As you compare and contrast college savings vehicles on your own, be sure to incorporate how financial aid plays into the equation. Financial aid is awarded based on both you and your kids’ income and assets. Savings in some types of the accounts we’ll cover are included on the FAFSA (Free Application for Federal Student Aid) form, while others are excluded. Students that have more assets to their own name won’t end up receiving as much financial aid as those who don’t. Every school operates a little differently, but if they think your kid is independently wealthy rest assured they won’t receive any financial aid. Your income and assets count as well, just to a far lesser degree. 529 accounts have been around for quite a while, but became really popular after the Economic Growth and Tax Relief Reconciliation Act of 2001 (EGTRRA). The EGTRRA of 2001 expanded the tax benefits from the account, by exempting qualified distributions from income tax.